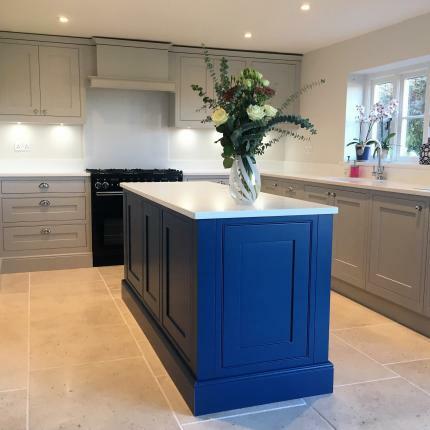 Stunning Signature Kitchen in the Cotswolds. 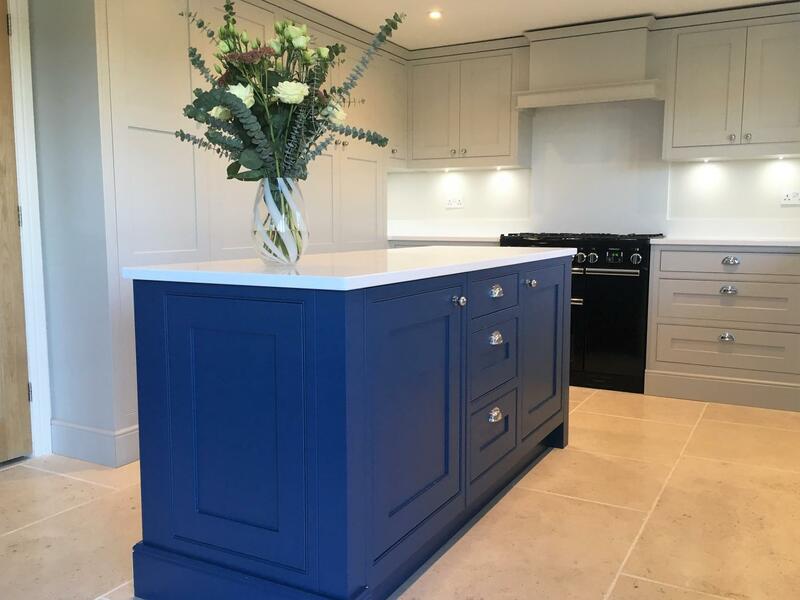 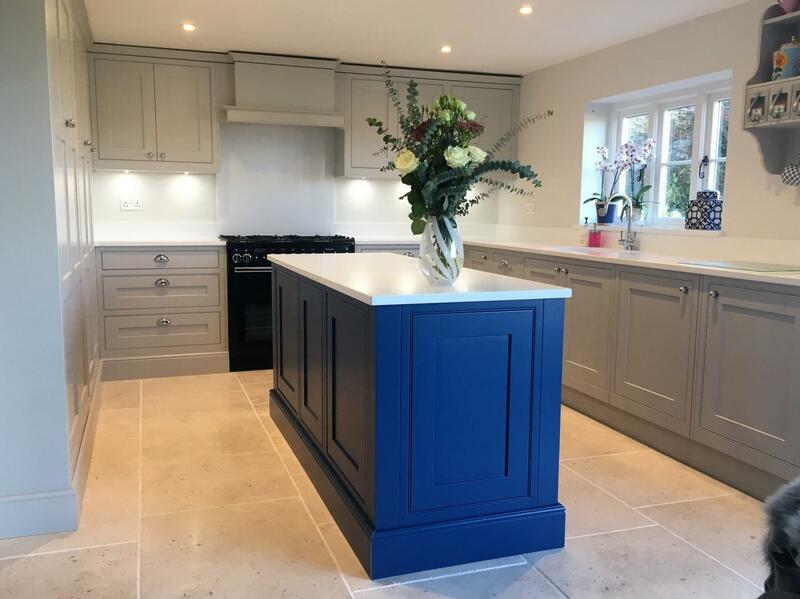 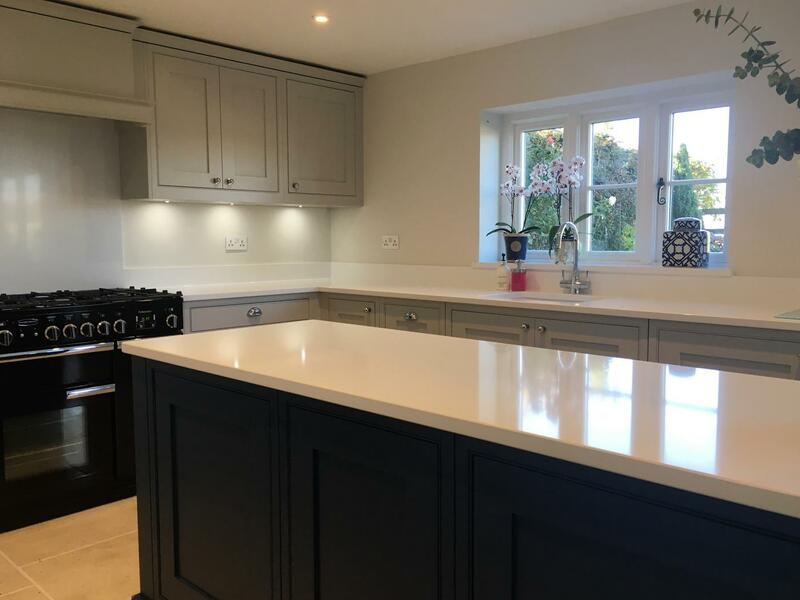 This recently completed project in Leafield features our new Signature range, with smooth finish shaker style doors in Light Grey, and a pure white quartz worktop. 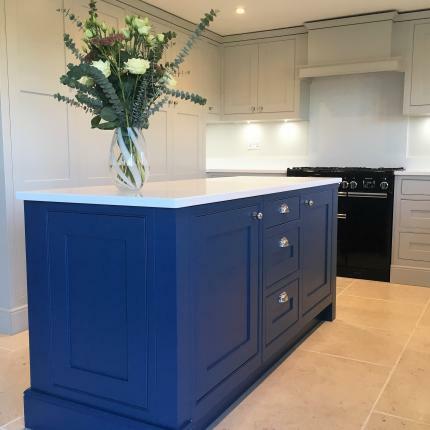 The island stands out as a feature piece in the room, in contrasting Tyrolean Blue. 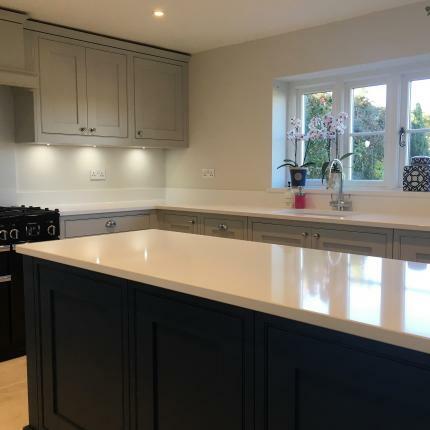 The design makes use of the client’s own flooring and cooker, and includes an integrated fridge, freezer, dishwasher and washing machine.